Northwestern University Health Service, located at Searle Hall on Emerson Street. 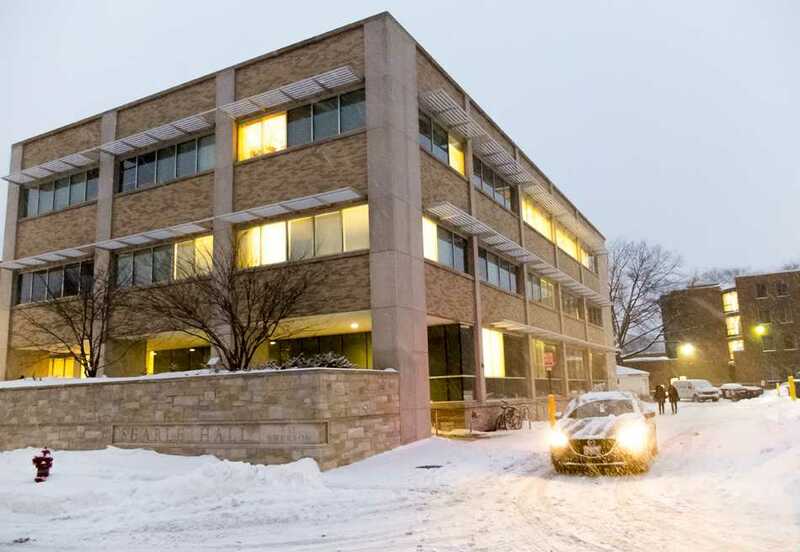 Counseling and Psychological Services will hire two new staff members to provide clinical support services and do suicide screenings within University Health Services, according to a Wednesday email from Vice President for Student Affairs Patricia Telles-Irvin. The new positions – which will be shared with University Health Services – are part of an initiative to improve rapid response crisis screening, a method by which clinicians can assess whether or not someone is a danger to themselves. In the past, putting resources toward rapid response screenings have taken away from CAPS’s capacity for continuing to care for those with mental health issues once the immediate threat to their safety is subsided, Telles-Irvin said in an interview last month. The email also urged students help create a “community of care” in the face of nationally rising suicide rates, a message Telles-Irvin first told incoming students at convocation in September. In addition to the new hires, a campus-wide task force is scheduled to meet in January to address student well-being and mental health, Telles-Irvin wrote in the email. A previous version of this article incorrectly stated the two new positions were filled. No one has been hired for the positions yet. The Daily regrets the error.